101 Things You Don’t Know . . But Wish You Did! 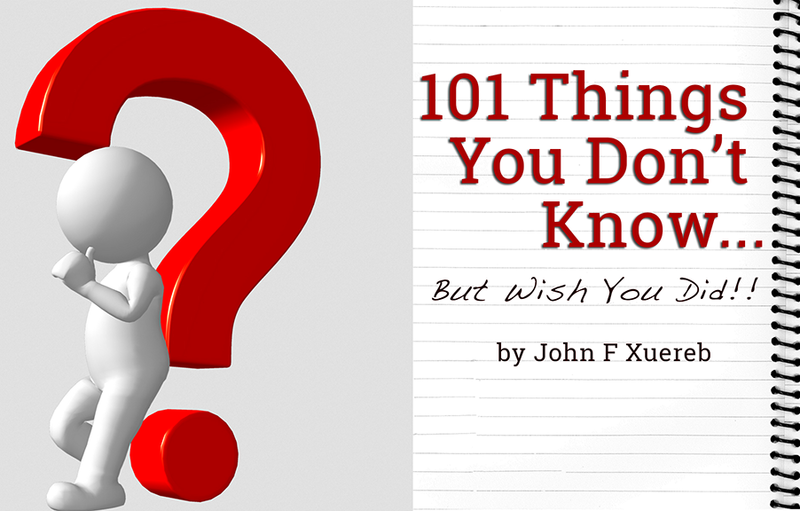 By John F Xuereb is a compilation of facts and trivia that are here to provide you fun, entertainment and yes, even a bit of education.